When it comes to choosing bookshops to visit I have a system. Sort of. Recommendations are prioritised, but to ease the damage to my bank balance bookshops are generally visited according to when I'm in – or travelling within 30 miles of – an area. Generally it works, but every now and then the system lets me down, for example when I suddenly realise a bookshop on my must-visit list is due to close. Which is what happened this week. The Kennington Bookshop is a place I often meant to visit but failed to get to because I was always travelling elsewhere in London – it was just a little bit too far south down the Northern Line for my convenience. Then I found out it was closing at the end of the month. It was time to go out of my way. Or so I thought, because despite often being the end of the line for south-bound tube trains, it turns out Kennington is surprisingly close to my preferred mainline train station. There was hardly time to read two pages of my book before the stop was announced and I found myself in the sunshine on a wide, welcomingly quiet, London street. A five minute walk then saw me stood across the road from the inviting bookshop front. Inside, a sense of calm flowed over me that was particularly welcome after a day of rushing around London. Not that the bookshop was quiet, there were several other customers coming in and out, including one very patient browser of the canine variety, but there was something so simple and stylish about the place that it was impossible not to slow down. A sign in the shop sums it up perfectly: 'Thank you for browsing gently'. The next thing of note was a display of food related books, just to the right of the door. One, Gin Glorious Gin by Olivia Williams, immediately stood out as being my must-buy, but I decided to give myself time to explore. 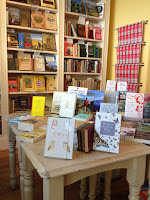 I took in the brightly arranged display tables and the books with their coloured elastic bands around the covers. Then I looked along the shelves, filled with a range of genres and proudly labelled 'Fiction, new and secondhand' because all books are equally important, before returning to 'my' book. My visit continued, taking in the children's area and a further range of non-fiction tables and shelves, all beautifully laid out and inviting, but always returning to the same book. Until it was time for me to leave. I returned to 'my' gin book and it had gone. A man was at the counter handing over money for it. I'm sure the book found a good home, but next time I'm hoarding all the books that catch my eye! Fortunately, my dedicated scouring of the tables and shelves meant gin wasn't the only book I'd wanted to buy that day. Returning to a table, Guest Cat by Takashi Hiraide was swiftly picked up before another customer could beat me to it and my calm and equilibrium were restored. 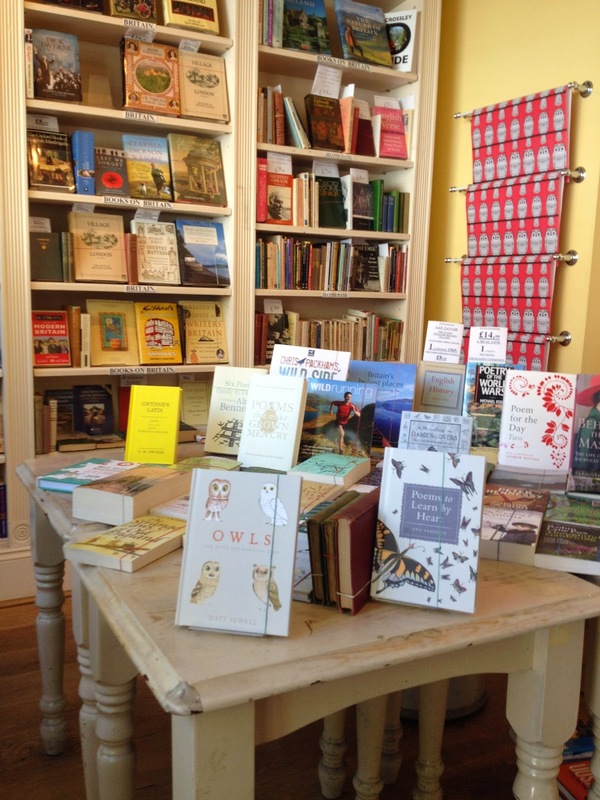 Ordinarily, a visit to a bookshop that's due to close would be tinged with sadness, but the reason The Kennington Bookshop is saying goodbye is because the lease is up for renewal and the owners have decided to move on to a new challenge. Yes, I'm still very sad at the thought of this lovely bookshop being no more, but there was no desperate need to sell everything off quick, or upset at a lack of local support, which meant I was able to enjoy my browsing as I would in any other place I've visited. It's sad The Kennington Bookshop is soon to close*, but if this visit could only be linked with one distinct emotion it would be of joy: It may only have been once, but I'm glad I was able to experience this beautiful, peaceful place. *You have until the end of May 2015 to experience this bookshop. I bought Guest Cat yesterday too!! You obviously have excellent taste! I can't wait to start reading.